Based in Atlanta and Shanghai, a small team of developers have been quietly working away on the future of VR gaming. Last year CCP’s VR Labs showed off their work at Fanfest, including the ability to virtually create fireballs, combining the Oculus Rift and Microsoft’s Kinect. This year they’ve taken that a step forward. 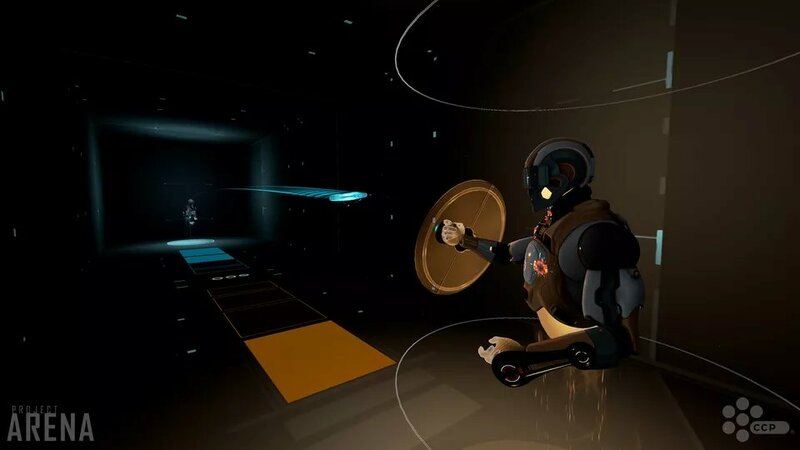 Project Arena does away with the Kinect and instead uses the Oculus Rift’s yet-to-be-released Touch Controllers. Two versions, or modes, of the game are on offer to Fanfest attendees this year, with plans in the works for some form of tournament for each mode on Friday and Saturday. The first mode, volley, is best thought of as a virtual reality reimagining of table tennis. Players are tasked with throwing a disc across an ‘arena’ hoping that their opponent is unable to return the shot. To twist it a little, throwing the disc with a curved trajectory is a must to ensure you don’t hit the round net hovering in space between the two of you. Surrounding the net is a glowing ring, which is you throw the perfect shot and pass inside the ring, will add extra speed to your shot reducing the other player’s ability to return. The controls are both responsive and intuitive and, critically, the game is fun. Overall, this mode is solid; a friend and I were able to jump in and play a couple of rounds against each other with no issues. The controls are both responsive and intuitive and, critically, the game is fun. The second mode, named brawl, was shown off during the CCP keynote. Players stand at the end of a virtual corridor and attempt to hit each other with discs. This mode makes full use of both touch controllers, allowing players to quickly mix up their shots by switching hands, or keeping hold of their disc to as a shield to blocking incoming projectiles. This mode places a greater emphasis on physical motion, as players will need to bend, weave and duck to avoid being hit. Again CCP showcased a solid working concept for this game; the only bug I experienced was a glitch in the tutorial which partially froze during the blocking element. 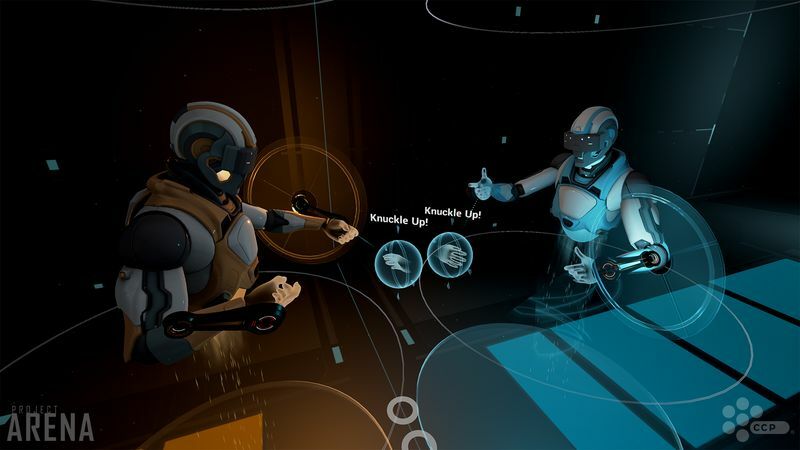 Both of the game modes are designed with the knowledge that any multiplayer VR gaming will likely not take place in the same room, but instead over the internet. Godart said during the interview with Polygon that “you’re fighting your opponent at a distance, that’s not accidental. There’s a reason this isn’t a hand-to-hand combat game or a boxing game where you expect instantaneous feedback.” That distance will in the future help account for any latency between two players playing online. Project Arena also works as a spectator sport, ideal if CCP’s idea of this becoming the first physical e-sport, are to be realised. The setup at Fanfest allows people queuing to watch live gameplay from a number of different angles – and judging by the reaction of the crowd this is something that is already becoming popular. Following the news that Eve: Valkryie will be coming to the HTC Vive and Sony Playstation VR, along with cross-format gameplay, it’s likely that any retail title that comes from Project Arena will likely work in a similar fashion.